Trade wars and security clashes are in the forefront across greater Asia, but we would be remiss to overlook the intensifying struggle over democratization as a factor in international relations. On the one side is China backed by Russia, both intent on foiling not only “color revolutions,” but also democratic processes in general. On the other is the United States, despite the recent rhetorical inconsistency, encouraged by Japan and other countries in its support of a “free and open Indo-Pacific.” To grasp the essence of this battle we need an updated framework to analyze democratization as a continuum, subject to setbacks and national identities as forces that form the backdrop for how democratization evolves. We can draw on case studies for lessons about past struggles over democratization in East Asia and for tests of how foreign relations, especially involving China, are impacting democratization. Great power competition has been more acute in Northeast Asia, our starting point, while it has recently intensified in South and Southeast Asia. This article seeks linkages between national identity and democratization, proposes a framework for analyzing how democratization proceeds within today’s foreign policy context, and draws on lessons from aspirations for advancing democracy in Northeast Asia after the Cold War ended. Predictions of democratization in Asia grew more optimistic with the abrupt successes in South Korea and Taiwan and, just a few years later, the collapse of the communist bloc, opening space for Mongolia to turn toward democracy. Yet, optimism that China would follow this path failed to be vindicated, Russia’s Asian regions lost their autonomy to revived authoritarian tendencies, and competition resumed between rival scenarios for other parts of Asia. On the one hand, the Chinese and Russians hold up models of One Belt One Road leading toward a “community of common destiny” or of Greater Eurasia premised on rejection of democratization. On the other, Prime Minister Abe Shinzo became the first leader to press for a coalition of states committed to defend what became known as a “free and open Indo-Pacific.” As external pressure grows to join one or another great power-led coalition, it is timely to examine anew the ongoing challenges of pursuing democratization within the increasingly tightly contested regional context of East Asia. In 1989, in light of the end of the Cold War and the Tiananmen demonstrations, many were optimistic that an irreversible wave of democratization was in progress. In 1992, following the collapse of the Soviet Union and the further dismantlement of communist regimes, optimism soared that the ideological barriers to democratization were falling as economic globalization accelerated and the impending information revolution was giving unprecedented impetus to it. What was often missing in such reasoning was the fact that democracy is rarely an end in itself and usually a means that elites adopt only conditionally. If it is found to be at odds with personal and local interests, elites are likely to oppose it, appealing to various dimensions of the national identity, while taking the stance that democratization would prove antithetical to them. Thus, we can frame the pursuit of democratization also as a pathway to boosting one or another dimension of national identity, which is countered by attackers who label it an outrage that undermines the pillars of that national identity—all within the context of the newly polarizing foreign relations across the wide arc of maritime Asia. In 2018 Sino-US relations are aggravated, US thinking about democratization is being questioned, and the struggle is deepening over democratization. The analysis ahead can be clarified if we consider democratization to be the establishment and deepening of a cluster of elements (not always in synch with each other or reinforcing), setbacks to democratization as the weakening of any or all of them, national identity as a conglomeration of dimensions any one of which can become linked to the advance of democratization but, more likely, can be cited as inimical to democratization, and the current foreign policy struggle in East Asia as identity oriented between China, on the one side, and the United States with its allies and partners on the other. In this way, we simplify the conceptual narrative and lay the groundwork for comparisons of states on the frontline in Asia between two clashing approaches to democracy. When national leaders or popular movements hold aloft the flag of democratization they do so against the backdrop of what is considered to be a nation’s shared understanding of what makes it unique and exceptional. There is no blank slate wiping away past assumptions, even after a regime was ousted or overthrown. Should a popular mood of revulsion sweep a critical mass along in aspiring to something different, embedded ways of thinking about what is compatible with the essence of the national identity do not disappear. In Northeast Asia communist regimes had long perfected the means of inculcating a version of the national identity, which could not easily be superseded. Also widespread in the region was the legacy of Confucianism, which had been ingeniously embedded into people’s sense of nationhood and civilization. Finally, memories of colonialism and imperialist aggression had been intensely cultivated during the formative stage of modern nationalism, becoming key parts of national identity often impervious to challenges. Whether communism, Confucianism, anti-imperialism, or other pillars of national identity, they loomed in the background as the forces of democratization tried to advance their cause and even found some measure of success for a time. As a dimension of national identity, ideology has broader applicability than just the rigidly formalized doctrines of past communism. Even when the classics of Marxism-Leninism-Stalinism-Maoism are not obligatory citations, the hold of socialist thought can remain strong and be reinforced less tendentiously. Confucianism is more readily dismissed as a source of current ideology since it was treated as outdated long ago, but that does not mean assumptions socialized over centuries by formal and informal education do not continue to pervade thinking. Likewise, anti-imperialism in many cases merits inclusion in the ideological dimension as it too can become so fundamental to the way people think that questioning it proves difficult. Sinocentrism and Japanese imperial thought are also examples of ideological forces with continued impact. Democratization in Japan found space, if uneasily after the reversal of some Occupation reforms, for tenacious advocates of a limited version of imperial thought. Democratization in South Korea gained momentum from an oft-unchallenged dosage of anti-imperialism centered on Japan’s annexation of the peninsula. In China and Russia, however, the hold of communism was too strong to allow democratization to proceed far, notably in China with reinforcement from a reconstructed ideology accepting Confucianism and reinforcing anti-imperialism linked to Sinocentrism. The ideological dimension of national identity has impacted democratization throughout Northeast Asia, for the most part looming as a barrier but with room in some settings to be coopted in support of advancing that process. A third dimension—called sectoral—is a composite of political, economic, and cultural identity. Democratization may face the obstacle of pride in a non-democratic political order or, if that is a reach, a political order with entrenched non-democratic elements, such as claims that harmony precludes a balance of forces and legal contentiousness. It may be frustrated by a belief in the success of an economic model that limits some elements of market competitiveness and freedom. Finally, pride in what makes one’s civilization distinct may lend support to features at odds with individual freedom of choice and checks and balances. When there is a sharp spike in identity as countries claim to have a harmonious order, an economic miracle, and a populace well organized hierarchically to maximize national goals, democratization may be brushed aside. Conversely, when there is loss of confidence in such claims, the search for external models and globalization may give rise to a backlash insisting that disruption be countered by going back to one’s roots. Fourth is the vertical dimension referring to state-society relations, which may relegate such forces as religious groups, NGOs, ethnic minorities, and civil society in general to only a suspect status in the national identity. Democratization means checks on the state, but identities that treat the state as the protector and embodiment of the nation may target such checks as real threats. If communism or Confucianism has shaped identity rhetoric, then democratic checks on the state may face especially serious hurdles. Anti-colonial legacies may envision the state as the heir to the independence movement, also complicating the task of checking its authority. Encapsulating the national identity in narrow notions of state primacy complicates pursuit of democratization. 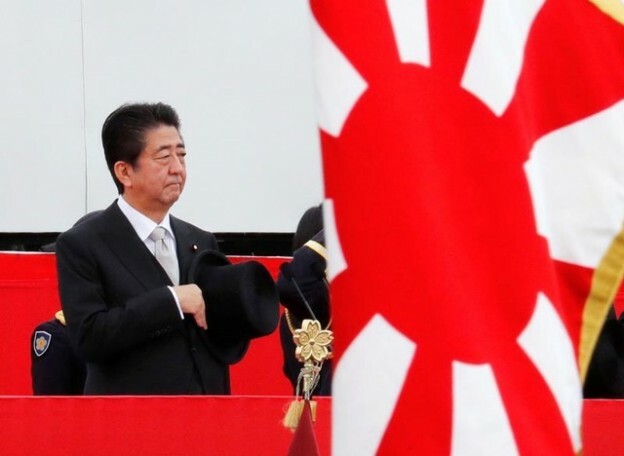 As recently as the mid-1980s, Japan was the lone democratic country in Northeast Asia. Yet, in the early 1990s hopes were rising that the entire region would become democratic before long. South Korea was deemed to be firmly on the path to democratization when the 1992 election brought to the presidency a civilian figure after a military officer had won in the 1987 race. Mongolia had abruptly shed its communist past through a surge of democratic initiatives. The Russian Far East was viewed not only as part of the democratic wave under Boris Yeltsin, but as capable, under the influence of extensive decentralization, of playing a leading role in further democratization. Isolated and facing deepening poverty, North Korea was in the sights of South Korea for democratic transformation along with economic reform on the path to reunification. If Tokyo and Seoul did not expect to advance democratization on a large, regional scale in the near future, each focused on a small part of the Russian Far East, wielding its economic clout and striving for its own national identity goals while holding aloft the banner of democratization as the path forward. Neither Northeast Asian US ally was a noteworthy booster of democratization in other parts of Asia, preferring to express understanding for Asian traditions and the merits of a gradual transition, and in Northeast Asia as well they were ready to accommodate slow evolution. The criticism that impatient pressure to democratize proved counterproductive does not apply to these advocates, which were willing to work with non-democratic forces over a slow transition. Take the case of the Russian Far East, including Primorskii Krai centered on Vladivostok and the Southern Kuril Islands (Northern Territories) within Sakhalin Oblast. South Korea and Japan were eager to promote democratic forces in one or the other of these areas. Both areas were very vulnerable due to deepening economic hardship and new feelings of abandonment by the central administration in Moscow. Under Boris Yeltsin in 1992-93 those Paul Richardson calls “liberal institutionalists” were in the ascendancy in Moscow, promoting democratic values, including openness to foreign economies and market forces, the end to the Stalin legacy and the mentality of empire, promotion of dignity through gaining a leading role in shaping a liberal world order, and forging a civilized Russia protective of civil society and the rule of law.4 There were local elections, a freer press, and apparent opportunities for outside forces to support the forces of democratization. Increasingly, however the Atlanticists, as some were called, lost the struggle over what should be the national identity of Russia. On each dimension of identity, they were at a marked disadvantage given the legacy of communism, the interests of the local elites, and the actual limitations of foreign influences. The external appeal to press for greater democracy was overwhelmed by appeals to defend national identity, viewing “universal values” as just a false smokescreen. Democratization was attacked as harmful to what was a contested Russian identity but turned out to be much more beholden to the Soviet legacy than many observers had assumed. Some might argue that Japan was so obsessed with recovering territory and South Korea with outflanking North Korea that their pursuit of democratization was only half-hearted. Yet, US-European attempts to bolster the nascent forces of democratization in Russia fared no better. As some elements of Russian national identity were successfully rejected, others survived and soon gained new traction. To make sense of this we need to grasp how Soviet national identity had been changing and to recognize dimensions of identity that could be used to mobilize resentment at a time of massive dislocation, economically, politically, and intellectually. The champions of democratization could not point to short-term economic benefits for large numbers, any social stability to calm jitters, or well-appreciated aspects of historical identity that boosted local pride. Indeed, localism was so weak in the Russian Far East after seven decades of the suffocating hold of communist that it offered little opening even as national identity proved to be a barrier. Vested interests had a solid repertoire of identity tropes to turn people away from democratization, it soon became apparent.8 The main appeal to counter them raised by Japanese and South Koreans was economic prosperity at some unknown time, but their economic plans were hijacked by elite interests that cast doubt on such unrealized promises. Another appeal was to join an international community respectful of freedom and human rights, but that seemed to be mostly rhetoric given developments on the ground as mafia seized control and the masses saw little hope in the outside. Boosters of democratization exposed the hypocrisy and lies of the old ideology without success. Liberal voices had punctured the once tight censorship, but they made few serious inroads into demolishing much of the identity of the communist era. Pride in Russocentrism, suspicion of what was called imperialism, and survival of key tenets of socialism centered on dependency on top-down guidance were deeply engrained. Symbols were invoked in defense of the preexisting ideology, which proved resistant to de-Stalinization and abandonment of old tenets. The ideology of free markets, fully free elections, and a free society gained some adherents, but few benefits followed, and loss of security contributed to a backlash in favor of revival of an identity with an intense hold on people, trumping alternative notions of national identity. Richardson calls this an “urge for emotional continuity” and sees it focused on the “sanctity of territory” in the invocation of the Southern Kurils as a symbol of preserving what is sacred from the past.9 In late 1992 Yeltsin cancelled a trip to Japan at the last moment, avoiding the humiliation as well as mass condemnation of a trip that would have been centered on demands for the return of the islands. He went to Tokyo a year later when he had consolidated his position some and offered a vague concession by naming four islands under dispute without triggering the uproar at home that some had feared. The forces of democratization in Russia were in retreat, and Yeltsin, step-by-step, supported a search for a new “Russian idea,” clearly meant to draw heavily on the seemingly disgraced “Soviet idea,” which had been regaining ground rapidly within elite political circles. South Korea’s effort to mobilize support in Primorskii Krai in its struggle with North Korea likewise became a target of those defending the old ideology and the history dimension in national identity. Well-inculcated pride in the Red Army and in support for North Korea as part of the battle against imperialism left little room for the viewpoint that embracing South Korea would prove rewarding for economic development, defeat of a mindset steeped in communism, and the forces of democratization. Naturally, an entrenched elite and bloated security community had a vested interest in opposing democratization and the redistribution of power it could require. By 1997 bilateral relations went into a downspin, as Seoul was blamed in Moscow for spying and across Russia for failing to deliver on the assistance promised when Gorbachev agreed to normalization of relations. Whereas it was not a question of losing territory, as it was with Japan, the backlash against South Korea was also defensive in support of national identity with well-understood implications for still fragile democratization.10 Foreign affairs became entangled with national identity, at the center and on the periphery in Asia, making scapegoats of states eager to assist the Russian Far East democratize as well to achieve their own territorial aims. Drawing on prior beliefs, Russians were ill-disposed to clashing viewpoints, not only because they came with unwelcome territorial aspirations, but also because they threatened, including by pressing for democracy, the pillars of the lingering national identity. Communism’s legacy was much more diverse and deeper than foreseen, as seen in all of the dimensions of Russia’s national identity. Elections were relatively free for a time, locally and nationally, but debates centered more on the threats to national cohesion and identity, blamed often on perceived shortcomings in democracy. Democratization was reversed. Many prerequisites for a democratic society, such as checks and balances and an independent judiciary, were missing. Interest groups were mostly aligned against it, not in favor of a civil society. The appeals to Russian civilization on the structural dimension of identity, or to a dominant state, on the vertical dimension, proved stronger than the appeals to democratic values. Networking with Russians led to picking willing partners on the margins of the entrenched elite or being used by others eager for funds but antagonistic to the new values. Another case to consider is North Korea, at least to the extent it is discussed as a challenge for the other states active in Northeast Asia. South Koreans, especially conservatives, even if wary of advancing human rights issues at this juncture, are counting on democratization to shape the process of reunification. Progressives are even more reluctant to acknowledge the determination of the Kim family and its elite supporters to block all elements of democratization and discussion of them, insisting that the two regimes deal with each other as legitimate entities, as is. Chinese and Russian writings on North Korea, in contrast, repudiate any pressure on the regime to adopt the values of South Korea and the United States.11 They insist on a gradual process not only of integration of the peninsula but also of denuclearization, allowing the Kim regime to strengthen and to press its agenda without any threat of democratic values. Despite optimism in certain circles amid the Six-Party Talks of 2003-2008 and the intensified sanctions of 2016-2017 that consensus could be reached on resolving the nuclear crisis and the standoff on the peninsula, the divisions visible today reveal once again that the gap on democratization combines with other differences to make resolution of this threat to stability very difficult. Democratization of North Korea will have to deal with its national identity, even if many expect to wipe that slate clean and open the door to South Korea’s identity. It will have to deal also with the polarization over the place of democratization in North Korea’s transformation among the interested countries. The interplay between democratization and dimensions of national identity is long-standing and in the early post-Cold War years exposed the futility of efforts led by Japan and South Korea in Northeast Asia. Russia and China, with national identities deeply embedded through traditional communism, fended off attempts to advance democratization, albeit mixed with other objectives of foreign countries. Later, Russia and China moved from the defensive to offensive operations using economic clout and sharp power to conduct the fight against democratization beyond their borders. The countries in Southeast and South Asia are under increasing pressure. Understanding the nature of the battlefield requires breaking national identity into multiple dimensions, while seeking to determine how each figures into recent efforts to promote or oppose democratization. In Northeast Asia local forces capable of linking with outside countries to press for reforms favorable to democratization after the end of the Cold War were too weak to make a difference. In Japan, South Korea, Taiwan, and Hong Kong, however, democratic forces have been much stronger. The conceptual framework needs to incorporate a livelier contestation over national identity in each of its dimensions. Lessons can be drawn from successes in democratization in full awareness of limitations, as identities have also been used to impair this process. The tentative framework for Japan, South Korea, and Taiwan should take into account that all three are under the active influence of a political forces intent on altering by democratic means, some key elements of the national identity with strong consciousness of China. Progressives leading South Korea are deeply dissatisfied with the identity conservatives had nourished. Conservatives led by Abe Shinzo are committed to transforming the postwar identity that they could not greatly dislodge until recently. Finally, the progressives in charge in Taiwan aspire to a national identity at odds with what the KMT had fostered when it held the reins of power. Each driving political force pursues a national identity that not only is divisive at home but also poses a challenge to the PRC. Already well along in democratization, they have ways of limiting or countering PRC pressure even if they cannot escape some of the vulnerabilities found in less secure democracies being tested by Beijing. Sharpening the conceptual framework through studies of these cases in Northeast Asia will serve as the next stage in preparation for case studies in other parts of Asia. During the Cold War, assumptions about the sharp division between democratic states on one side and autocracies or other non-democratic states on the other side were challenged by the dictatorships such as South Korea and Taiwan on the US sideandthe democracies led by India leaning to the other side. Explanations offered for a surprising lack of democracy included: a high level of threat, the Confucian legacy, the early stage of modernization, and the temporary nature of the anomaly as pressure built within and without for democratization. For the oddity of democratic states siding with the Soviet bloc, there was also mention of lingering anti-colonial resentment and local rivalry that trumped global competition as well as of economic strategy that diminished the role of market forces. Since the end of the Cold War many have insisted that democratization is no longer a factor because ideological struggle has ended and both economic and security ties reflect shifting national interests and local cost-benefit logic. Recently, however, there has been an awakening to the powerful impact of national identities, which shape whether democratization advocated by the US and its allies can triumph over those hostile to the process. Narrow thinking about economic and security ties can overshadow concerns that might have prevailed during the Cold War. ASEAN was expected to overcome such narrowmindedness by focusing its 10 members on the bigger picture facing the region as a whole. When ASEAN was viewed as needing reinforcements to deal with increasing great power involvement in issues vital to the region, it forged larger groupings—especially the East Asian Summit, which was to accept ASEAN leadership and reach beyond economics to security and values. Yet, on the main security issue facing Southeast Asia, the militarization of the South China Sea, the states at risk from China of losing sovereign rights failed to win backing from some other states. Increased dependency on China’s economy also led to clashing interests in dealing with China. At the same time, democracy itself proved to be reversible or seriously distorted, becoming a factor in whether a country defended ASEAN unity and values or succumbed to Chinese pressure. Often the focus is on how the presence of democracy affects support for China or the United States. The issue can be turned around by asking how dependency on China affects democratization. 2. Gilbert Rozman, ed., U.S. Leadership, History, and Bilateral Relations in Northeast Asia (Cambridge, 2011); Gilbert Rozman, “Historical Memories and International Relations in Northeast Asia,” in Daniel Chirot, Gi-Wook Shin, and Dan Sneider, eds. Criminality and Collaboration: Europe and Asia Confront the Memory of World War II (Seattle: University of Washington Press, 2013), pp. 211-33. 3. Gilbert Rozman, National Identities and Bilateral Relations: Widening Gaps in East Asia and Chinese Demonization of the United States (Washington, DC and Stanford, CA: Woodrow Wilson Center Press and Stanford University Press, 2013). 4. Paul B. Richardson, At the Edge of the Nation: The Southern Kurils and the Search for Russia’s National Identity (Honolulu: University of Hawai’i Press, 2018), pp. 40, 49-50. 5. Gilbert Rozman, “South Korean Strategic Thought toward Russia,” in Gilbert Rozman, Hyun In-taek, and Shin-wha Lee eds., South Korean Strategic Thought toward Asia,(New York: Palgrave, 2007), pp. 203-24; Gilbert Rozman, “Overview,” and “Japanese Strategic Thinking on Regionalism,” in Gilbert Rozman, Kazuhiko Togo, and Joseph P. Ferguson, eds., Japanese Strategic Thought toward Asia (New York: Palgrave, 2007) pp. 1-32, 243-68. 6. Gilbert Rozman, “The Crisis of the Russian Far East: Who Is to Blame?” Problems of Post-Communism, Vol. 44, No. 5 (September/October 1997), pp. 3-12. 7. Gilbert Rozman, “A Chance for a Breakthrough in Russo-Japanese Relations: Will the Logic of Great Power Relations Prevail?” Pacific Review, Vol. 15, No. 3 (2002), pp. 325-57. 8. Gilbert Rozman, The Sino-Russian Challenge to the World Order: National Identities, Bilateral Relations, and East vs. West in the 2010s (Washington, DC and Stanford, CA: Woodrow Wilson Center Press and Stanford University Press, 2014). 9. Paul B. Richardson, At the Edge of the Nation, p. 16. 10. Gilbert Rozman, “Overview” and “Russian Strategic Thought toward Regionalism,” in Gilbert Rozman, Kazuhiko Togo, and Joseph P. Ferguson, eds., Russian Strategic Thought toward Asia (New York: Palgrave, 2006), pp. 1-33, 229-53. 11. Gilbert Rozman, Strategic Thinking about the Korean Nuclear Crisis: Four Parties Caught between North Korea and the United States (New York: Palgrave, 2007, rev. paperback ed. in 2011); Gilbert Rozman, “Russia’s Reassessment of the Korean Peninsula,” International Journal of Korean Unification Studies,” International Journal of Korean Unification Studies, Vol. 24, No. 2 (2015), pp. 41-70.